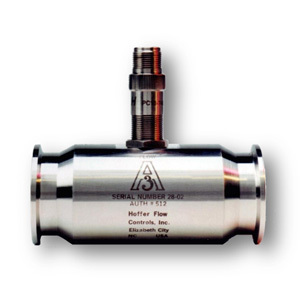 The Sanitary Turbine flow meter is accepted as meeting 3-A Sanitary Standard No. 28-03 for measurement of process liquids where high sanitary standards are required. Available in 11 sizes,1/4 to 3″ with standard Tri-Clamp TM fittings, covering flow rates for 0.35 to 650 GPM.